First there was Lawrenceville’s Rock All Night Tour (RANT), then the Deustchtown Music Festival and Strip District Music Festival. Now, more than 100 Pittsburgh bands will perform at the inaugural Millvale Music Festival on Saturday, May 13, 2017. 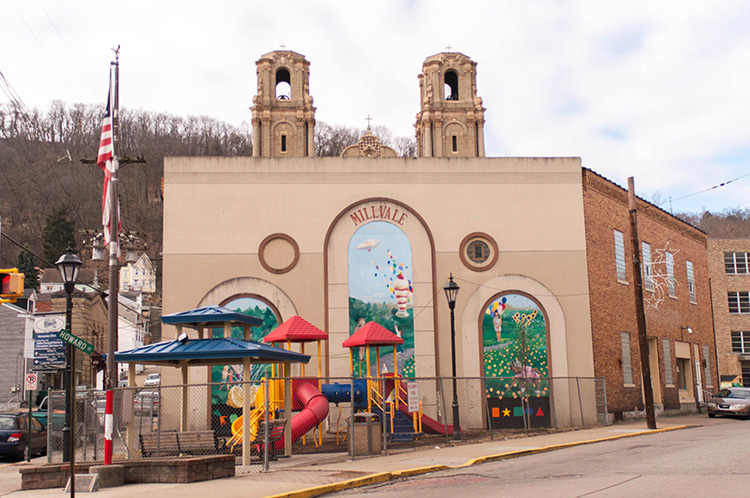 The free event will take place at more than a dozen businesses and public locations in Millvale, including the GAP Community Park, Grist House Brewery, Draai Laag Brewing, Millvale Community Library and The Funhouse at Mr. Smalls. The event is being organized by Brian Crawford, station manager and founder of The River’s Edge radio station and member of the Millvale Community Development Corporation and Millvale Borough Council. The organizing committee has been approved as a standing committee under the Millvale CDC and therefore has nonprofit status. The festival is being run entirely by volunteers. Crawford grew up in North Irwin but moved to Millvale a few years ago where he opened his online radio station. The festival is accepting applications from bands interested in performing from now until the end of March. Crawford says that more than 150 bands have applied to perform in the week since the festival was first announced. Bands will be paid based on a percentage of sales that day from each of the brick and mortar concert venues. Joining Crawford on the organizing committee are President of the Millvale CDC, Tina Walker, and Millvale Borough Council member Brian Spoales along with comedian Ian Insect, who will help book MCs; Jonathan Keilback, one of the organizers of Heavy Metal Monessen; and Mark Panza, owner of Millvale’s Panza Gallery, one of the festival venues. 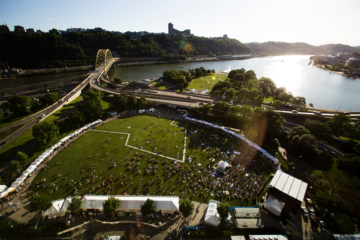 Crawford says what will help this event stand out among other festivals is the tight-knit Millvale business district, which will allow visitors to bounce from one venue to another in a matter of minutes. He has also reached out to Jenny Sines of Millvale Yoga Collective to organize buskers, fire-eaters, and other street performers to connect the festival area. Those who can’t attend will be able to stream some of the stages online at The River’s Edge.